Elementary students in grades 3 and 4 (across 4 schools) complete technology enrichment activities including coding, programming, TechTalks, beta testing, video production, 3d printing, etc. In addition, many of the students also assist other students and teachers with technology needs. Middle School students in Grades 5 through 8 (across 2 schools) run a HelpDesk/Genius Bar in order to provide assistance to students and staff with technology needs. In addition the students are also responsible for creating and producing the daily John Wallace Middle Schools and Martin Kellogg Middle School video news shows for morning announcements. NHS Tech Support in Grades 10 and 11 at the high school provide technology assistance to students and staff and are the first line of defense for our IT Department with break/fix. 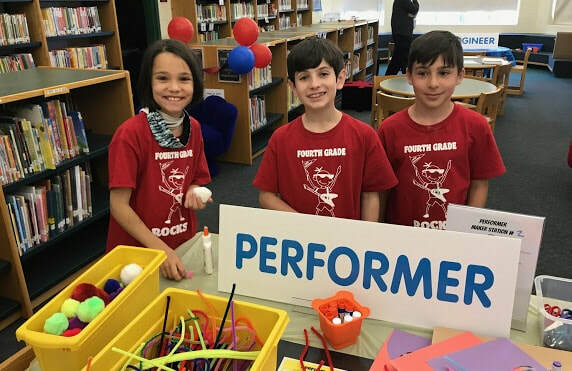 This student-led program has also developed a HelpDesk Program in the Media Center, assists weekly at the Newington Public Library with Technology Nights, and also assists in the production of the Superintendent’s television show “After the Bell”. Visit our Website here and Learn about the SMART Bus.